dasauge.co.uk is the UK sibling of acclaimed design directory dasauge, one of the most popular design portals on the net. dasauge has been around since 1997 and over the years has brought together an unparalleled network of creative people – in terms of sheer number and quality of contacts alike. So if you rely on good and sustainable contacts in the creative industry, you’ve come to the right place – because dasauge is where creative heads meet. For the non German speakers among you, “das Auge” (pronounced something along the lines of “dus owgger”) literally means “the eye”, suggesting both the visual and design emphasis of the site and conceivably the skill of keeping an eye on the latest developments in the creative world. 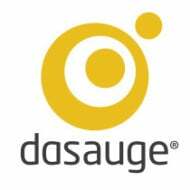 As a member of dasauge you can create your own profiles, entries and showcases. So people are sure to be able to find you when they search for you. You can also participate in forum discussions or expand your own network. What does it all cost? Nothing. And there are no hidden clauses. So what are you waiting for? Sign up today. Creating a profile on dasauge is a way for you to introduce yourself to colleagues, clients, employers, employees or potential job applicants, and forms the basis for establishing a presence on dasauge. Under your permanent, personal profile address, people can access your contact details and logo, as well as your entries and your network of contacts. And like all the functions on dasauge – creating a profile is entirely free of charge. Is the creative industry your home? Showcase your references – whether photographic work, illustrations, logos, layouts, films or sounds – for free on dasauge. You can upload and present your work in as many portfolios as you wish, and devise your own copy and titles. This means interested parties can not only read about what you do, but also put themselves directly in the picture. You can integrate your portfolios into your website or blog easily using the code provided. Your portfolio will appear on your website at a click of a button. Click on the left-hand button to view an example. Some people believe that dasauge is a job market – which is hardly surprising, since according to a study by Designerdock, dasauge is the most popular, free online job market in Germany’s communication industry, beating cross-sector job markets like Monster and Stepstone by miles. And the best thing of all: job search and job offer entries are free and unlimited, and consequently a few hundred pounds cheaper than anywhere else. To create a job entry, whether a job search or a job offer, click the following link and follow the steps listed in the right-hand box. Registration is not required to search the job market. The studio section of dasauge is all about shared office, studio, darkroom and atelier space. It’s also the place to share equipment and much more. Studio entries are also free and unlimited. To create a studio entry, whether a search or an offer for space, click the following link and follow the steps listed in the right-hand box. Registration is not required to search for studio space. dasauge has carried the name “The creative network” for over ten years. And true to our motto, we have mediated innumerable industry contacts, jobs and contracts over this time. The network function lets you announce to the world who belongs to your creative network. An “Invite” button in each profile lets you invite your contacts to join your network. Sign up and try it out for yourself! Full membership of dasauge is free and unlimited. So the answer to the all-important question “What does it cost?” can be answered quite simply with a definitive “Nothing!”. For those who like to examine things in detail, here is a list of some of the functions provided by dasauge.